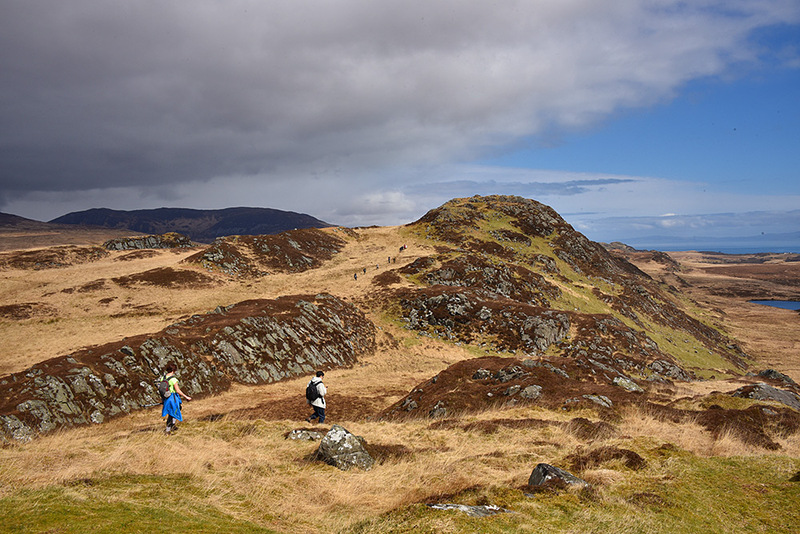 The hill forts along the south east coast of Islay allow for some interesting walking, here we are on our way between two of them. I believe the one ahead is An Dùn (on the right Loch Carn a’Mhaoil), but I’m not entirely sure. Oh, and those heavy dark clouds with the heavy rain never reached us, we were in the sun for most of the walk. This entry was posted in Cloudy Weather, Freshwater Loch, Landscape, New Post, Sunny Weather and tagged An Dun, Islay, Loch Carn a'Mhaoil by Armin Grewe. Bookmark the permalink.